Did Trump Tweet It? 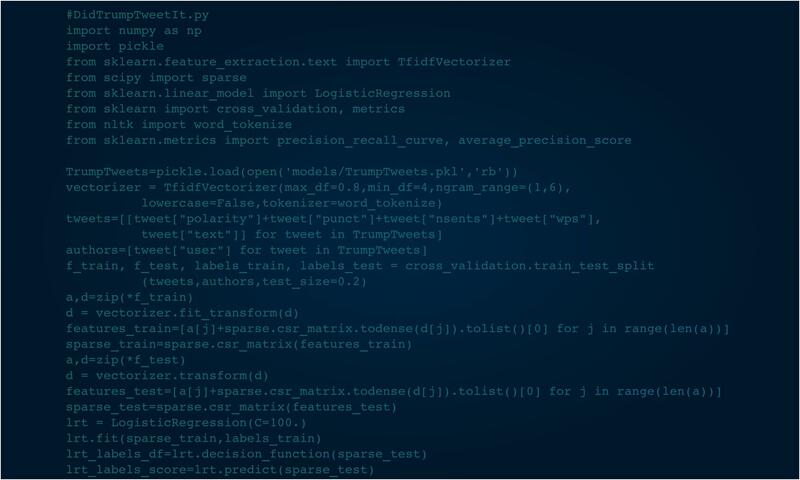 – Page 3480 – Powered by Deep Learning, the world's first archive of who wrote every @realDonaldTrump and @POTUS tweet. “@DRUDGE_REPORT: REUTERS 5-DAY ROLLING POLL: TRUMP 34%, CARSON 19.6%, RUBIO 9.7%, CRUZ 7.7%…” Thank you – a great honor! "@DRUDGE_REPORT: REUTERS 5-DAY ROLLING POLL: TRUMP 34%, CARSON 19.6%, RUBIO 9.7%, CRUZ 7.7%…" Thank you – a great honor!